There are plenty of examples of Best Buy's poor customer service record. I have nothing to add in that category. But I will take exception to their employment marketing. 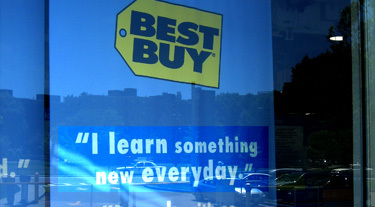 Copyeditor General's ruling: Let's just hope Best Buy doesn't include English lessons, grammar or proofreading in its list of learning opportunities.